What types of floor can DEEBOT clean? 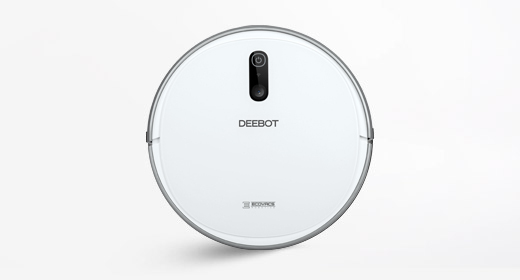 DEEBOT is capable of cleaning nearly all floors, including bare floors and short-pile carpets. DEEBOT is not suitable for use on long-pile or shag carpets. When should I use the Main Brush Option and the Direct Suction Option? The Main Brush Option is the best choice for deep cleaning with a combination of the agitator brush and strong suction. The Direct Suction Option, activated when the agitator brush is removed, is specifically designed to pick up pet and human hair without tangling. Can DEEBOT really clean under my furniture? 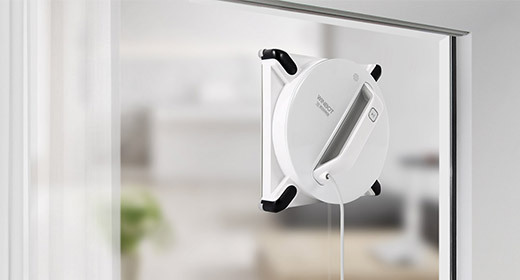 DEEBOT’s low-profile design gives it the ability to clean under furniture without complications. You can find the dimensions in the instruction manual. What does DEEBOT do if it meets an obstacle, like furniture? DEEBOT has an active obstacle detection system to help it avoid contact with your furniture, walls and household items. Anti-Collision Sensors are built into the robot. When the sensors detect an obstacle, a signal will be sent to DEEBOT’s “brain” to slow down, change direction and select a new cleaning path. 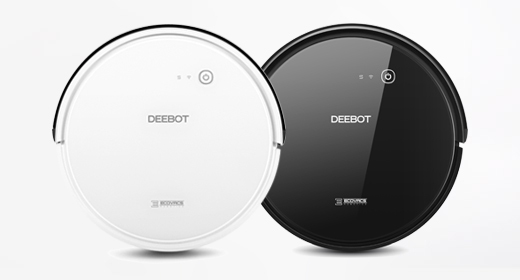 If the object is very low to the ground, 1.5” or smaller in height, DEEBOT may gently touch the obstacle with its mechanical cushion bumper before turning around. 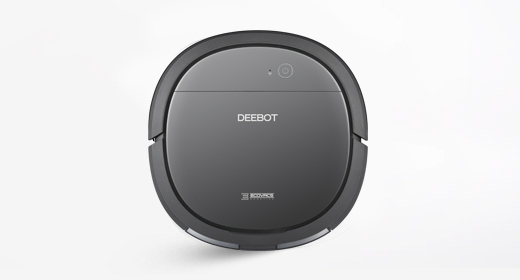 DEEBOT is not cleaning along edges and in corners thoroughly. What should I do? Please choose Edge Cleaning Mode to clean along edges and in corners effectively. 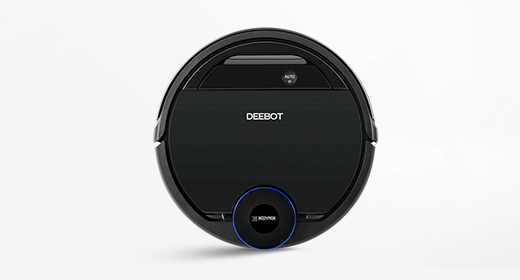 Why does DEEBOT spill dust when I move the robot manually? If dust is spilling when you move DEEBOT by hand, the Dust Bin is probably too full. The Dust Bin should be emptied regularly for best cleaning performance. 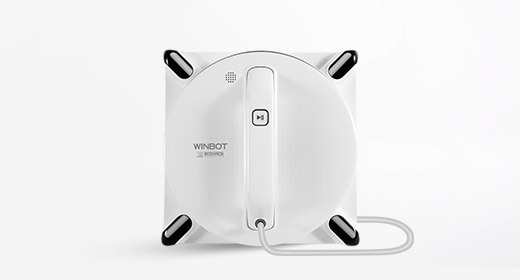 When moving DEEBOT manually, please lift the robot with both hands and keep the end marked “DEEBOT” tilted slightly up to avoid spillage. 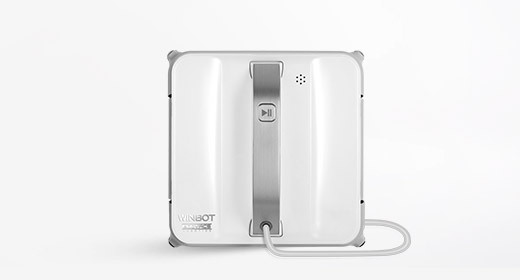 Can DEEBOT be used to vacuum up water? No. Do not allow DEEBOT to ingest liquid as it will damage the unit. What should be done if DEEBOT accidentally vacuums up liquid? "Turn OFF the robot immediately. Remove the Dust Bin, Filters, Main Brush and suction component and allow them to dry completely before reinstalling them. If the robot does not function normally after taking these steps, please contact Customer Service." The Main Brush is tangled with hair and debris. How do I clean it? Power OFF the robot and turn it over. Remove the Main Brush Cover and the Main Brush. Use the Multi-Function Cleaning Tool to cut off and remove any hair tangled around the Main Brush. The Main Brush can be rinsed under water, however it should be dried completely before being reinstalled into the DEEBOT. The Direct Suction Option is recommended for cleaning up human and pet hair without tangling. Why does dirt from DEEBOT 's Dust Bin leak out? There is too much dirt in the Dust Bin. Please empty the Dust Bin regularly for best performance. Will DEEBOT disturb my pet? Normally, no. DEEBOT works quietly and the noise should not upset your pets. 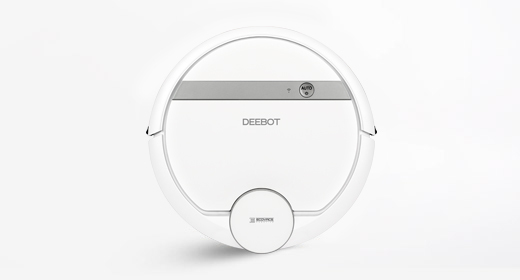 We recommend that you supervise DEEBOT during its first cleaning and assist should there be a problem. Can DEEBOT clean when nobody is home? Yes, you can schedule DEEBOT to automatically clean once or twice per day, even if no one is at home. Where should I place the Charging Dock so DEEBOT can easily find it? The Charging Dock should be plugged in and placed against a wall. Place the Charging Dock on a level floor surface with the base perpendicular to the ground. Keep the immediate area 1.5m /5’ in front of the charger and 0.5m /2’ at both sides of the Charging Dock clear of objects and reflective surfaces that may interfere with the infrared receiver. Is it dangerous to touch DEEBOT’s Charging Contacts or the Charging Pins on the Charging Dock? No. The maximum DC voltage output of the Charging Dock is within the safe range for the human body. Can I keep DEEBOT on the Charging Dock for an extended period of time? Do you have any Remote Control tips? How can I make sure my Deebot is ON? The master on/off switch needs to be ON to charge. To remember its schedule, to use the remote, and to clean. The switch can be a tad confusing. The "|" is ON... the "O" is OFF. Just leave it ON, and your DEEBOT will be happy. What should I be careful of when charging the battery? Be sure to remove the water tank before charging the battery. Make sure the charging dock is power sufficient. The floors are wet when it mops, could this be dangerous? Our products are built with technology to spread water evenly when mopping. They never leave sizable puddles of water, and should not present a danger. Could cleaning upstairs floors be dangerous? 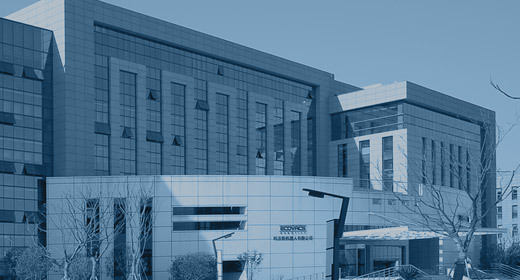 Our products include anti-drop sensors, so there should be no danger. 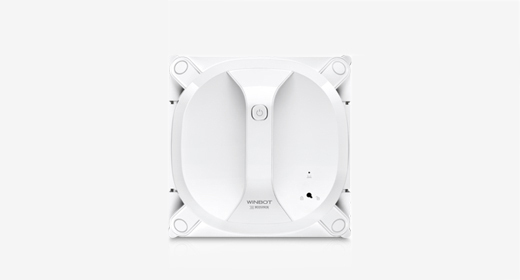 We recommend observing the robot the first time it cleans upstairs to make sure the anti-drop sensor can detect the drop, as well as placing a guard rail at the top of the stairs to ensure safe use of the product. Will it take up a lot of space in my home? 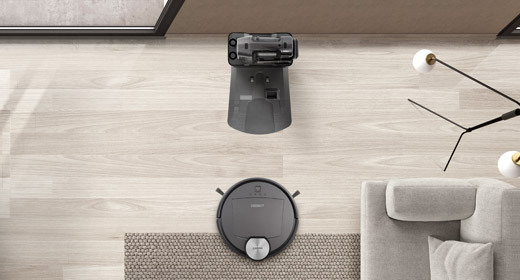 Our floor cleaning robots are very small, taking up almost no space, and can usually fit in the corner of a living room. And our designs seamlessly integrate into any home environment. There isn't anywhere in my home with empty space 1 meter in diameter next to an electrical outlet, it doesn't seem like it will fit easily. In this case, all you need to solve the problem is a power strip. I have pets at home. Which model do you recommend and why? We recommend selecting a model with the direct suction inlet option, like the DEEBOT N78D, as the direct suction port will not get clogged with hair. Of course, even better would be to choose a model with our unique ECOVACS combined main brush and direct suction inlet, like the DEEBOT M88, R95, Ozmo610, Ozmo930 and many more. It combines two functions in one device, cleaning up pet hair and dust in tight spaces with ease. I have both pets and carpets in my home. Which model is best? We recommend selecting a model with our unique ECOVACS combined main brush and direct suction inlet, like the DEEBOT M88, R95, Ozmo610, Ozmo930 and many more. It combines two functions in one device, cleaning up pet hair and dust in tight spaces with ease. My home has two stories. Is there a chance it could fall while cleaning the second floor? No. All of our products come with anti-drop sensors, so they will not fall from the second floor. The step up to my bathroom is just 1 cm. Will the robot be able to get up there normally? Under normal circumstances, our models should be able to climb 1 cm without any problems.